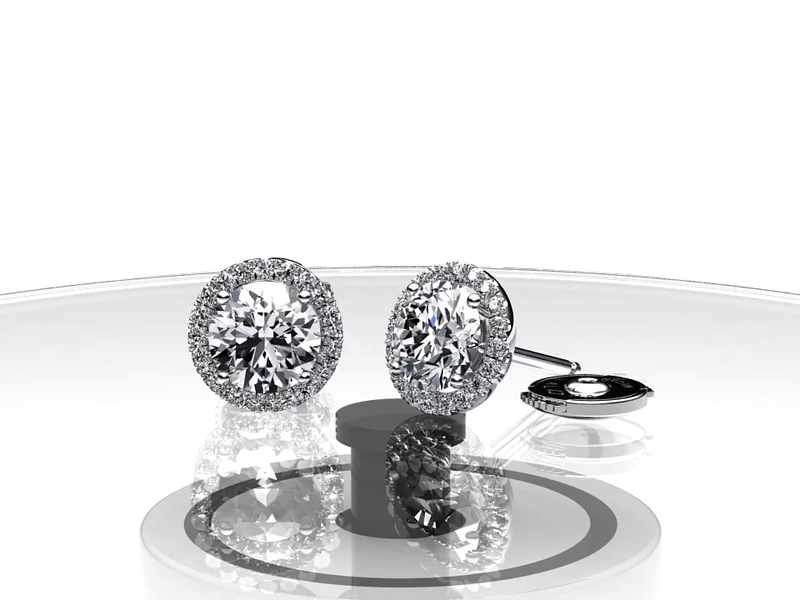 Earrings set with 4.5 mm round stones surrounded with 32 round (1.1 mm) diamonds. External diameter: 7.0 mm. Total metal weight: 2.0 g.